In 1898, an English journal, the Rocket, had offered a prize of £1000 to anybody who could predict the exact number of male and female births, together with the number of deaths, in London for the week ending December 11th. John Henry Hall, a Yorkshire butcher, bought 250 copies of the paper, cut out and filled up the coupons as required, and sent them off. In one of his replies, he correctly predicted that there would be 1342 male births, 1213 female births, and 1539 deaths. Upon checking with the Registrar-General, Hall found to his delight that on one of his coupons he had the correct figures, and so he wrote to the Rocket to claim the prize. According to newspaper reports at the time, the owner of Rocket stalled, until brought to court. He then claimed that they were unable to verify Hall’s correct coupon since it was stuck to another one. In front of the court, the coupons were separated with the aid of a steaming kettle. Not surprisingly, the figures were found to be illegible. In any case, was it possible, asked Rocket’s counsel of the jury, that anyone would be able to guess the exact number of male births, female births and deaths in London in any given week? The jury, to Hall’s delight, were sceptical of the fate of the winning coupon. If innocently destroyed, that was one coincidence they found too hard to accept. As for the question raised by Rocket’s counsel, it was of course equally valid to ask why it should not be possible to guess the exact numbers? They found for Hall. That was not the end of the story. The owner of the Rocket, had taken out what in effect was an ingenious insurance policy. He had earlier been charged, in connection with the competition, with running a lottery. In this earlier case, the prosecution had successfully contended that winning the prize involved no skill, which made the competition a lottery, and consequently illegal; he was fined £20. 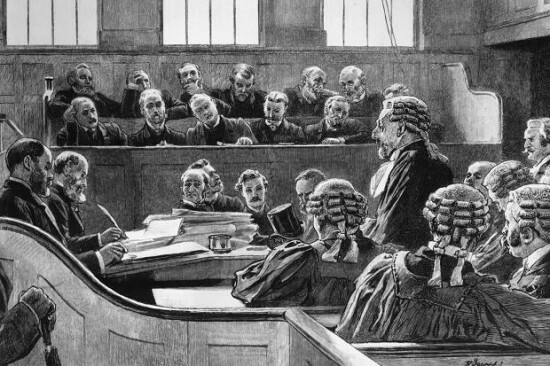 When the jury in the second trial found in favour of Hall, the Rocket’s counsel promptly claimed that in view of the established illegality of the competition, the £1000 prize must not be awarded. The following day the point was duly argued. Counsel for the Rocket liberally using legal precedents to illustrate the contention that in such calculations there could be no element of skill in arriving at the particular results. They did not know the odds, but they surely must be billions to one against anyone arriving at the correct figures. Hall’s counsel replied that their client had gone to some considerable trouble to obtain the information upon which he based his estimate. The judge, somewhat facetiously, interposed, ‘’He could scarcely inquire at a house when a baby was likely to be born?’’ (laughter) ‘’Nevertheless, I am going to give a judgement which will enable the plaintiff to go to the lottery of the Court of Appeal if he wishes, and try his luck there’’. I couldn’t help but think of those ‘competitions’ with deceptively simple solutions, you enter your details on an automated premium rate telephone number, thus effectively gambling the cost of the call. What would the Victorian Lord Justices make of it all? Next Next post: Trust- Given or Earned?